Another beautiful Song By Victor Rathnayake. 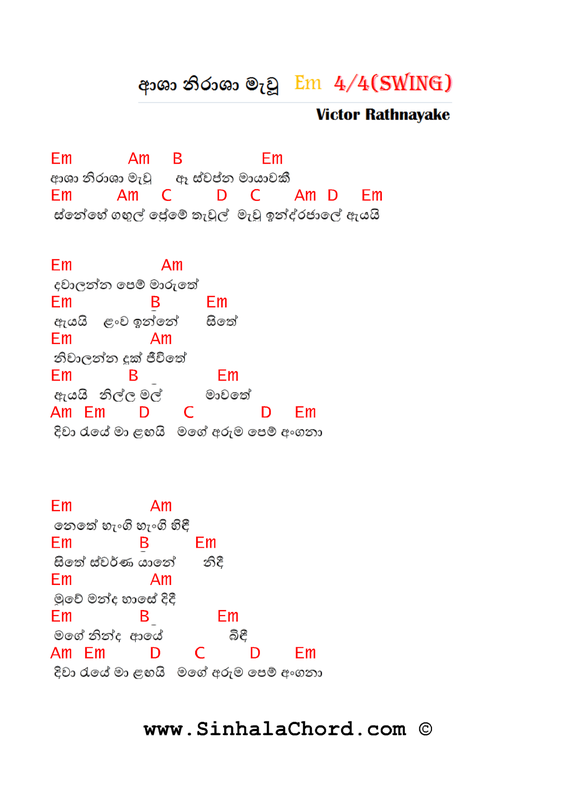 I love the walking bass pattern used in this Sinhala Song. 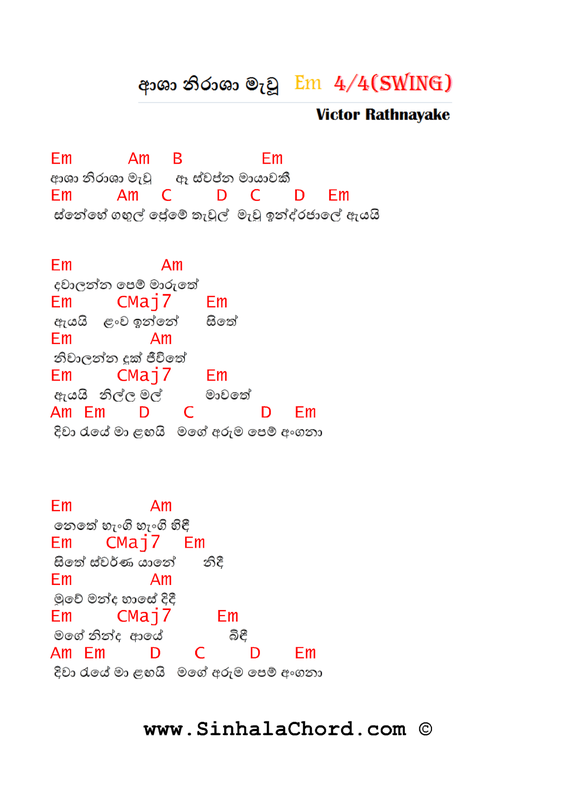 This song is played in swing rhythm.Swing beat is commonly used in jazz -influenced music.In Swing rhythm some notes with equal written time values are performed with unequal durations, usually as alternating long and short. In most styles of music that use swing rhythm, the music is written with straight eighth notes, with an implicit understanding that eighth notes should be played with swing feel. Swing rhythms are sometimes notated using dotted eighth notes followed by sixteenth notes. Listen to the Swing feeling. In shuffle rhythm, the first note in the pair is exactly twice the duration of the second note. In swing the division is inexact, and varies depending on factors such as how fast or slow the music is, on the genre of music, or the individual tastes of the performer, from almost equal (typically at fast tempos) to almost shuffle (typically at slow tempos).